Posted on January 18, 2017 by Elaha N.
The abstract noun “freedom” incites hope for oppressed prisoners; the matrimonial vow “I do” begets tears in the eyes of lovers; and a pastor’s statement “Amen” generates evangelical zeal in a Christian crowd. Above all other human capabilities, the power of the written word reigns as the most impactful. 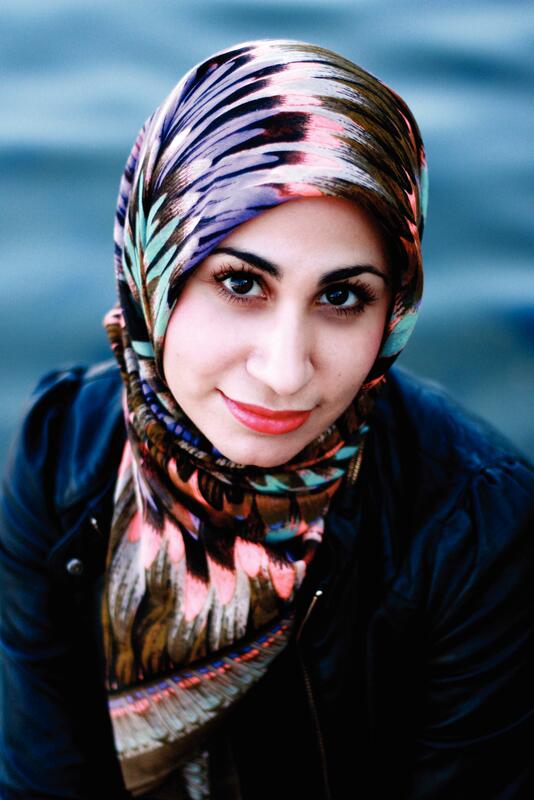 As an author who acknowledges the power of the written word, Tahereh Mafi ranks as one of the best authors in both children and young adult literature. With her eloquent writing style, Tahereh Mafi crafts her words as masterfully as a blacksmith forges metal. It’s no surprise that her Shatter Me and Furthermore series rank as high as the Miss Peregrine’s Home for Peculiar Children series (after all, Ransom Riggs, the author of the latter series, is her husband!). In each of her novels, Mafi pours every ounce of her heart and soul. She even states that most of the characters in her novels reflect certain aspects of her life, generating more meaning into them. Tahereh Mafi’s plotlines simply just don’t tell stories; they reflect on modern-day society, they empower people of different backgrounds, and they become personal stories for younger generations to relate to. “I only know now that the scientists are wrong. The previous quote resonates well with many of her readers, and it has been circulated so many times that there are now altered forms of the quote. Despite these changes, many young readers empathize with the speaker of the quote, for the metaphor of hardship as a heavy force is quite accurate. Both younger and older readers can agree that Tahereh Mafi’s rendition of life in her novels parallels to the plights of reality. Both younger and older readers can agree that Tahereh Mafi’s rendition of life in her novels parallels to the plights of reality. In fact, her dystopian novel Shatter Me resonated so well with many readers that it is now moving on to the big screen. However, the whole novel simply cannot be portrayed in the 2-hour time frame of a movie, so it will be ad0pted as a TV show. Mafi’s eloquence in writing and her brilliant storyline can soon be seen on one’s TV screen, for she will also be one of the show’s producers. Fans all around the world cannot contain the excitement as they blog about their dream cast. Whether it is through the medium of print or through the medium of film, Tahereh Mafi never fails to impress readers with her skills. Regardless of the time periods, situations, and characters in her novels, Mafi crafts fictional worlds with her outstanding language, leaving any onlooker in complete awe. Books written by Tahereh Mafi are available to checkout form the Mission Viejo Library. Posted on October 31, 2016 by Ava G.
J.K Rowling is my favorite author, by far. She is the author of the Harry Potter series including three short books designed to be textbooks from the Wizarding World. She also has written three adult crime fiction novels under the pseudonym Robert Galbraith. She was born and raised in Britain with not a lot of money which influenced her to donate large sums of money after her publishing success. She is famous for writing and creating the world of Harry Potter, a children’s series consisting of seven books: Harry Potter and the Sorcerer’s Stone (also known as Philosopher’s Stone in the U.K), Harry Potter and the Chamber of Secrets, Harry Potter and the Prisoner of Azkaban, Harry Potter and the Goblet of Fire, Harry Potter and the Order of the Phoenix, Harry Potter and the Half-Blood Prince, and Harry Potter and the Deathly Hallows. These books are about a boy named Harry Potter who finds out that he is a wizard. Not just any wizard, the only wizard to be able to survive the forbidden killing curse, Avada Kedavra. As the books go along, you get to see Harry and his friends (know-it-all Hermione Granger and Ron Weasley) grow up, learn magic and progress through Hogwarts, the wizarding school. You see them struggle to try and defeat Voldermort and his followers called Death Eaters who, are pretty much trying to take over the wizarding world. In the books Rowling throws in sudden twists and turns that keep you captivated and makes you not want to put the books down. Outside of the novels, Rowling penned three mini novels that were referenced in the series. Fantastic Beasts and Where to Find Them was a textbook written by Newt Scamander and it describes many types of magical creatures in the wizarding world. This book, previously “owned” by Harry, Ron, and Hermione has notes about the all the creatures written in the margins. Rowling also wrote a storyline based on some of the ideas in the book which is soon to be released as a feature film. The Tales of Beetle the Bard is a compilation of stories meant to be an in-universe collection for children. All the stories, are all unique in its own way. The version of the book sold, had pages of notes that are said to be written by Dumbledore. Quidditch Through the Ages in Harry Potter, is an informational book about the history and rules of Quidditch. Reading this offers an in-depth explanation of how Quidditch was created by withces and wizards and how the game works. J.K. Rowling, is an amazing author. The books she has written are just so captivating and well written. I really enjoyed reading her works and I hope everyone likes it just as much as I do. Posted on June 1, 2015 by Alaina K.
Recently, I read the fast and fun novel Keepers of the School: We the Children. This is the first book in Andrew Clements’s newest series, Keepers of the School. In this novel, Benjamin Pratt finds the school janitor with a broken ankle. Upon the brink of death, the janitor gives Ben a special coin that had been passed down through generations of janitors. The coin has mysterious writing, which commands Ben to defend his school. Ben’s school is being remodeled into an amusement park, which seemed great at first, but the writing on the coin makes him think twice about it. With mixed feelings, Benjamin decides to protect the school at all costs. Who should be trusted, and who should be avoided? Read Keepers of the School: We the Children to find out. Warning: this is a wonderful book, but be sure to have the next few novels in the series at hand- it goes quickly and is a MAJOR cliffhanger! Another fascinating book by Andrew Clements is Things Not Seen. Things Not Seen is a longer and more advanced novel than We the Children. This book describes how Bobby Philips, a regular 15-year-old boy, has a little shocker when he wakes up on a seemingly normal day. When Bobby looks in the mirror, to his surprise, he is invisible! Bobby and his parents are completely puzzled, and Bobby is not allowed to leave the house with his “condition.” After his parents are in an accident, Bobby decides to bundle up and leave the house. He meets a blind girl named Alicia, and she becomes Bobby’s only friend in his state of invisibility. Bobby’s school begins to become dangerously suspicious of his long absence, and suspect his parents did something to him. To clear his parents’ name, Bobby and his newfound friend encounter many close calls while searching for a solution to his problem. How is this mess resolved? Read the exciting trials and errors of Bobby Philips’s adventures to discover the answer. These are just a few of the amazing books written by Andrew Clements. I have read many of his books, and love everything he has written. Hopefully, you too will pick up one of his intriguing books and be drawn into the world of Andrew Clements! Posted on December 16, 2014 by Kaylie W.
John Steinbeck has become one of my all-time favorite authors, after I was first exposed to his novels in middle school. He is one of the most popular American novelists, whose works have had a lasting effect on American people, even today. I have recently read The Grapes of Wrath, which is one of Steinbeck’s most renowned works, earning the illustrious Pulitzer Prize. 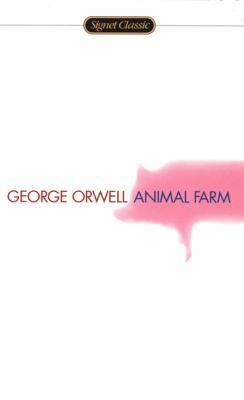 Set during the Great Depression, the novel focuses on the Joads, a poor family of tenant farmers who are driven from their home in Oklahoma by drought, economic hardship, agricultural changes and bank foreclosures. Trapped in the Dust Bowl with little chance in escaping their unfortunate situation, the Joads set out for California with the hope of new opportunities. The Grapes of Wrath portrays the economic hardships of people during the Great Depression, as well as the American dream of freedom, dignity, and a better future. In addition to The Grapes of Wrath, I have read The Pearl, Of Mice and Men (one of my all time favorites), Cannery Row, and the East of Eden. 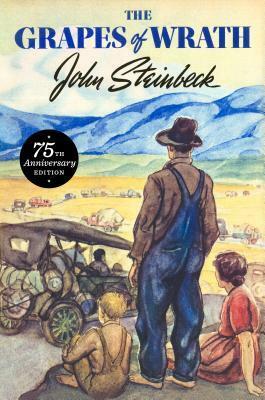 Steinbeck’s writing style certainly makes his works intriguing and his use of figurative language, especially imagery, helps the reader to imagine the vivid scenes and time period of his stories. Through characterization, readers are able to relate to his unique characters and feel their burdens and everyday hardships. I especially love Steinbeck’s novels because they urge me to read in between the lines and think more deeply about the true meaning of his stories. 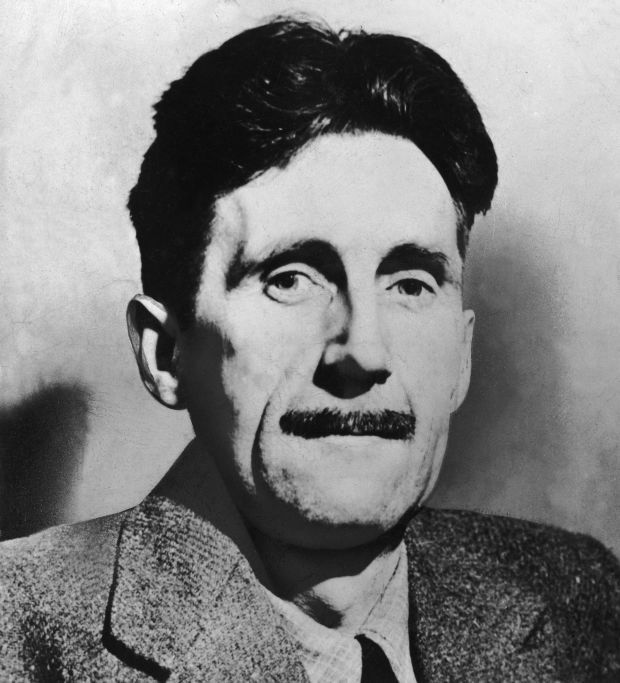 Although his writing may seem simpler and easier to understand than most classics, I have found that each of his novels convey a different theme and underlying motives are hidden throughout his plots. Each time I reread a novel, for instance, I am able to come across new ideas I had never noticed before, making my reading experience more interesting and thrilling. John Steinbeck is certainly an influential author, who is able to transport you to new time periods and places through the power of his words. I definitely recommend his novels to students in middle school searching for a good classic, and urge those above the ages of thirteen to continue to read and appreciate the works of the wonderful John Steinbeck! Authors We Love: Lauren Oliver! Posted on October 20, 2014 by Kelsey H.
Lauren Oliver has become one of my favorite authors already, and I’ve only read two of her books! Her writing style is so intriguing; I literally cannot put her books down. I read both Before I Fall and Delirium over the summer, and both made me smile and made me cry. 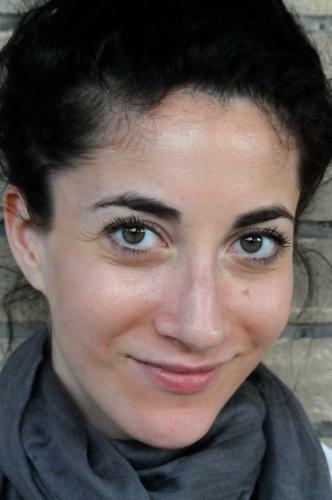 In her writing, Lauren Oliver makes the reader contemplate many interesting questions such as: What happens after death, or rather, what could happen after death? What if love was a disease? Would you take the cure? I found that after reading chapters upon chapters of her work, my mind happily became consumed in her book worlds. Lauren Oliver will help you identify yourself through reading her novels and you too will be left wondering. 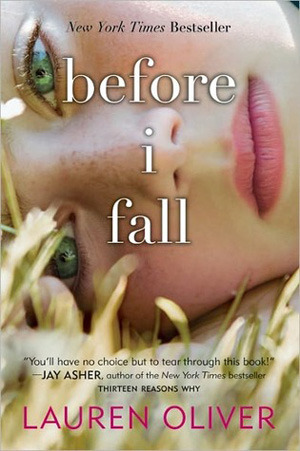 Before I Fall is the story of a popular girl named Samantha Kingston who hasn’t a care in the world. However, the story behind this one is that Samantha died on one particular day. This story is told through the perspective of Samantha given more chances to relive that one day, and it truly shows the value in second chances. Each time she gets to relive her last day, Samantha makes kinder and more impactful decisions to benefit those she hardly would have glanced at before. I loved how every chapter started the same, as if Samantha really was waking up to her alarm for the first time, even if it was the sixth or seventh time. It was fascinating to read the perspective of someone who can finally see their life clearly, because they have no blinders to protect them. They see their life as a whole, and therefore can make wiser choices. A famous saying that works perfectly with the theme of this story is: “Hindsight is always twenty-twenty” –Billy Wilder. Oliver poses the question: What would you do if you had second chances to live? On the opposite genre spectrum, Delirium is a dystopian themed trilogy starter about a girl named Lena who lives in a society where love is considered a disease. Young adults are cured of the disease at the age of eighteen and then they are matched with someone for life, void of attractions to each other. All her life Lena has not questioned the decision of her elders that love is dangerous, until a few months before her eighteenth birthday when she meets a boy and ultimately falls in love with him. Suddenly all that Lena thought was good for the citizens becomes evil, and she must learn to identify with herself. Oliver writes brilliantly, accurately portraying the confused and headstrong teen while showing their sensitive sides as well. I fell in love with Lena and Alex because they aren’t perfect. So many couples in literature have these magical fairy tales that just aren’t reality, so it’s so fresh to have a pair who have flaws. The real testament of their love is how they stay together despite the society security and Lena’s family against them. I find it so inspiring to read about “What ifs.” It’s one of my favorite types of books to read because they make you think beyond the characters into imagining what you at first thought to be impossible become possible. Lauren Oliver is an incredible author for young adults because she writes to pose questions, not answers. She opens your mind to possibilities, and just like every good author, she transports you to another era, time, place, and world. I would absolutely love to see both of these books be made into movies so long as the directors and actors stay true to the books’ messages. If they try to turn it into a perfect Hollywood romance or emotional bologna, then it will do injustice to the thought-provoking genius that is Lauren Oliver. Lastly, I believe that characters with imperfections are so important to give to readers because they prove that it’s okay to not be perfect. Please leave me a comment if you have any recommendations of books I would like that are similar to Lauren Oliver’s writing and your thoughts on my post! Posted on June 17, 2014 by Angela J. Over the past several years acceptance for the LGBT community in mainstream culture has vastly increased. Media has played a large role in this with everything from TV shows and movies to music to comics books and novels all including LGBT characters. One author that has played a large role in this is Alex Sanchez. 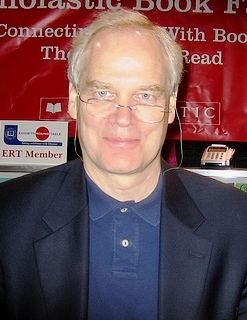 He has written several award winning novels including So Hard to Say, Getting It, The God Box, Bait, and Boyfriends with Girlfriends as well as the Rainbow trilogy (Rainbow Boys, Rainbow High, and Rainbow Road). All of his book are wonderfully written with captivating storylines. He does a wonderful job of exploring issues relating to the LGBT community. While the overall theme of his books is about acceptance and being who you are each book approaches the subject differently. So Hard to Say is aimed at younger readers (around middle school age) and has won a Lambda Literary Award. One of his other books deal with religion and sexuality while another deals with bisexuality. All of his books are absolutely amazing but personally I think that the two that really shine are The God Box and Boyfriends with Girlfriends. The God Box deals with the issue of whether Christianity can co-exist with identifying as LGBT. It follows the story of Paul, a very religious teenager from a small, conservative town. His world gets turned upside down when he meets Manuel. Paul is stumped by Manuel because he says that he is Christian and yet also says he is gay, something that Paul can’t fathom co-existing. Manuel’s interpretations of the Bible causes Paul to re-examine his whole life as feelings he had been trying to suppress, begin to surface. The story in the The God Box includes very eye-opening interpretations of the Bible and is a must read from Alex Sanchez. Boyfriends with Girlfriends does something that is still being largely ignored by the media even with the growing acceptance of the LGBT community, it includes bisexual characters. The story revolves around four teenagers, Sergio who is bisexual, Lance and Kimiko who are gay, and Allie who is questioning her sexuality. This is a great story of the ups and downs of teen dating, whether it is occurring in the LGBT community or not. This novel also does a good job of exploring different acceptance levels from family members. What I think is really great about this book is the fact that it includes bisexual characters. Often in all forums of media bisexual characters are either completely ignored, regarded as not a real thing, or highly sexualized. Boyfriends with Girlfriends does a wonderful job of avoiding these pitfalls and creating characters that are believable and relatable to all teens. Overall, Alex Sanchez is an incredible author whose work also holds incredible value. Whether you identify as part of the LGBT community or as an ally, his books are amazing reads that should not be missed. The world needs more books like his.